The Youth Hunting Program has scheduled winter and spring hunts for deer, hog, squirrel, turkey and more. Check out the calendar for opportunities to introduce young people to hunting and conservation through safe, educational, mentored youth hunts. These hunts are for youth between 12 and 17 years old who might otherwise not have the opportunity to experience hunting. Help us reach more young people by sharing information about this program with interested neighbors, co-workers, friends, and family members. 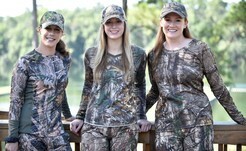 Youth must pass a Florida hunter safety course and be accompanied by a parent or guardian to participate. 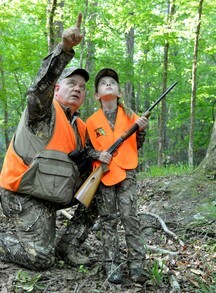 Learn more about taking a hunter safety course. Youth Waterfowl Hunting Days, held Feb. 2-3, are a chance to teach your daughter, son, grandchild or other young person about ducks and their habitat and safe, responsible hunting. 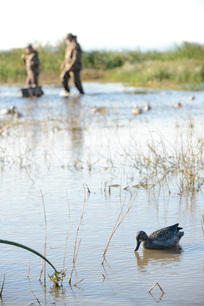 Create the next generation that cares about conservation by mentoring them during Youth Waterfowl Hunting Days! The FWC also has managed hunts at T.M. Goodwin Waterfowl Management Area, STA 1W and Guana River Wildlife Management Area. These fun, family-oriented events include raffles, free food and a chance to waterfowl hunt. No youth are turned away from the hunts, so a quota permit is not necessary. For more information on the Guana River hunt, call 904-825-6877, and for more information about the Ducks Unlimited Greenwings celebration immediately following the Guana River hunt, call 904-477-5081. For more information on the T.M. Goodwin and STA 1W hunts, call 321-726-2862. Check out the Guide to Waterfowl Hunting in Florida for information about where to hunt, regulations, waterfowl identification and safety. Youth who have successfully completed a hunter safety course can learn more about hunting through the Youth Hunter Education Challenge (YHEC). This program teaches youth aged 18 and younger about leadership, safety and conservation while building skills and knowledge related to target shooting and hunting. 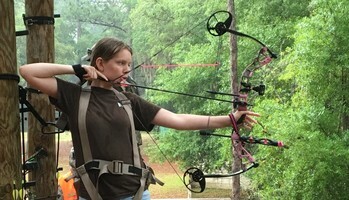 New events have been posted to the calendar that feature archery, muzzleloader, shotgun, small-bore/light rifle, hunter responsibility, firearms safety, orienteering skills, and wildlife identification. Find and register for a YHEC event today! Looking for a late winter hunting opportunity? Gray squirrel might be the ticket. It usually requires little planning and can be done on smaller tracts. Plus, gray squirrel hunting areas can be found throughout the state. 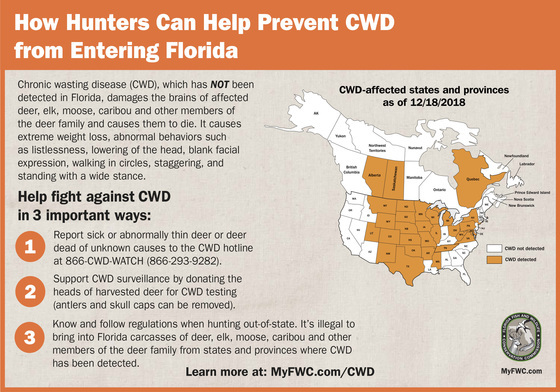 Most wildlife management areas in Florida offer a small-game hunting season where quota permits are not required. Visit MyFWC.com to find a wildlife management area and check area-specific regulations. On private land, gray squirrel season runs statewide through March 3. Buy your license and permits and get started small game hunting! If you'd like to turkey hunt this spring but don't have a place to go, consider a public land hunt. There are over 40 wildlife management areas across the state you can hunt without a quota permit. 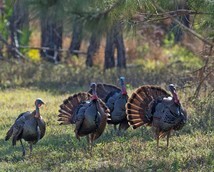 Find that information as well as what license and permits are required and a map showing wild turkey population densities in the 2019 Florida Spring Turkey Guide. Buy your license and permits learn more about wild turkey hunting and management. 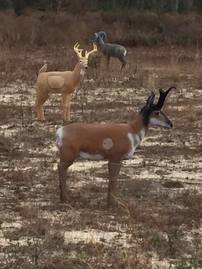 Whether you’re practicing for an upcoming bowhunt or tuning up for 3D archery competitions, you’ll be glad to know the Bay County Shooting Range has added 18 life-size targets of deer, pronghorn, wild hogs, wild turkey and more. The shooting distances of these 3-dimensional targets range from 6 to 68 yards to accommodate new and experienced archers. Access to the 3D archery range is included in the cost of the rifle and handgun range pass. This new addition to the FWC-managed Bay County Shooting Range was supported by federal grant funds from the Wildlife and Sportfish Restoration program and a donation from the Rocky Mountain Elk Foundation. Find location, hours of operation and more about the Bay County Shooting Range. Several other FWC-managed public shooting ranges offer opportunities for you to practice shooting your bow. If you or someone you know made a New Year’s resolution to learn new skills and spend more time outdoors, we’ve got a great suggestion! Our Becoming an Outdoors-Woman weekend workshops are a fun way to connect with nature and learn skills such as fishing, boating, hunting, target shooting, birdwatching, canoeing/kayaking, archery, outdoor cooking and more. We provide expert instructors and safe, hands-on learning opportunities to anyone 18 years or older. The next weekend workshop is held Feb. 15-17 in West Palm Beach. Learn more and register. You can win prizes by helping us remove Burmese pythons. These nonnative snakes are found primarily in and around the Everglades ecosystem in south Florida and present a threat to our native wildlife. 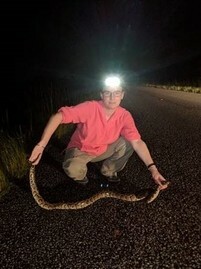 The Python Pickup Program gives incentives to encourage people to report sightings and humanely kill Burmese pythons, removing them from the Everglades ecosystem. Learn more about Burmese python removal and management efforts including how to report Burmese python sightings. Check permit availability for all limited entry/quota hunts throughout the hunting season. Don't forget, before heading afield, print, take a screen shot, or download WMA regulations brochures and maps to a mobile device so you can access them without an internet connection. When: Saturday, Feb. 2, 10 a.m. to 3 p.m. Note: Outdoor Youth Day is designed to introduce youth to the outdoors through hands-on activities such as canoeing, hiking, archery, fishing, shooting sports and swamp buggy rides. $10 entrance fee covers all activities. When: Saturday, Feb. 9, 9 a.m. to 3 p.m. Note: Youth 18 and under are invited to learn about shotgun safety and safe, responsible hunting practices. Find other YHEC events. When: Saturday, Feb. 9, 9 a.m. to 12:30 p.m. When: Thursday, Feb. 7 – doors open at 5:30 p.m.